StarTimes users can now enjoy more days after the expiring date of their subscription by simply renewing their subscription 3 days before the due date. In this article, I will show you several methods you can use to easily pay for your startimes subscription once it expires without going to the office. You can renew your subscription by just dialing a simple code on your mobile phone even without internet connection. Yes it's possible. Just follow the methods I have outlined on this article and you will be happy you came here. StarTimes is one of the cheapest pay TV cable that has given almost every home both wealthy and poor the opportunity to enjoy digital cable TV in their homes with the cheapest subscription plan of just N800 for the Nova Bouquet. In fact, StarTimes and GoTv seems to be battling between each other for who will rule Africa and Nigeria in particular. Both are cheap cable TV services that offers average channels for your Viewing pleasure. Like I said earlier, to enjoy this extra 3 days, just renew your subscription 3 days before due date. 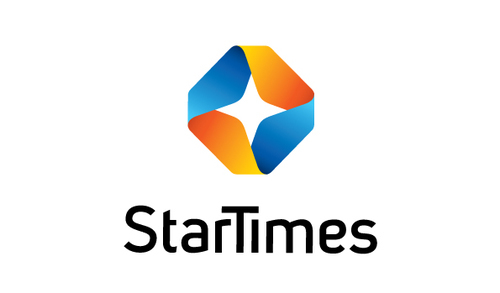 You can subscribe with the StarTimes app from Google Playstore. Open the app and navigate to your profile and click on your smart card number and follow the steps to recharge online. Alternatively, you can subscribe by using Quick Teller app. You can also download it from google Playstore and select cable TV payment. Quick teller is the easiest app to use for this as it accepts different types of ATM cards, PayPal, payoneer and so on. You can as well recharge your startimes decoder via GTBank USSD code on your mobile phone without internet. follow the steps below. The Phone number in which the code is dial from must be the phone number registered with GTBank account details. Once the code is dial, Gtbank will automatically deduct the money from the customer GTBank account balance and activate the Smartcard number immediately. Note that you cannot change your bouquet with it, it will only maintain your current bouquet. On the payment gateway, enter your smartcard number, e-mail address, phone number and the amount you wish to recharge. To pay for your subscription with your phone using quickteller method, dial *322*8888# it will bring up a list of banks attached to the phone number are using. Then you can complete your payment. How To Pay For Startimes Subscription Using "One Card"
(a) service provider, cable (b) startimes (c) smart card number (d) amount (e) card holder’s name, email and phone number then click on “submit”. It will generate a transaction number (write it out because that can be used to track your transaction). Select “pay” and select interswitch or etransact depending on the type of payment mode you want to use. fill the following information: (a) service provider, cable (b) startimes (c) smart card number (d) amount (e) card holder’s name, email and phone number then click on “submit”.It will generate a transaction number (write it out because that can be used to track your transaction). Select “pay” and select interswitch or etransact depending on the type of payment mode you want to use. Enter ‘Smart Card Number’ e.g. 0207xxxxxxx and Press ‘Proceed’ (It will display the customer’s information). You will get alert via notification from both your bank and startimes congratulating your for the successful subscription payments. Yes guys, these are how you can easily pay for your startimes subscription or renewal without going to branch offices. You can even stay in the confort of your home or office to recharge your decoder. Is this article helpful? okay help others to know this by hitting the SHARE buttons below. Let your friends on Facebook, Twitter, etc know about this. Enjoy.